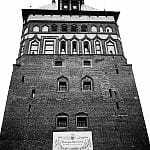 Prison Tower and Torture Chamber is a habitat the Museum of Amber. 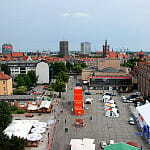 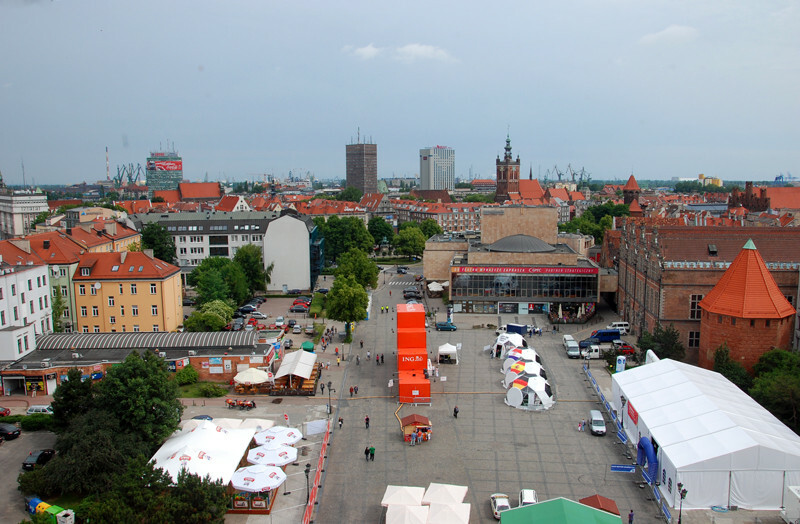 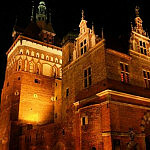 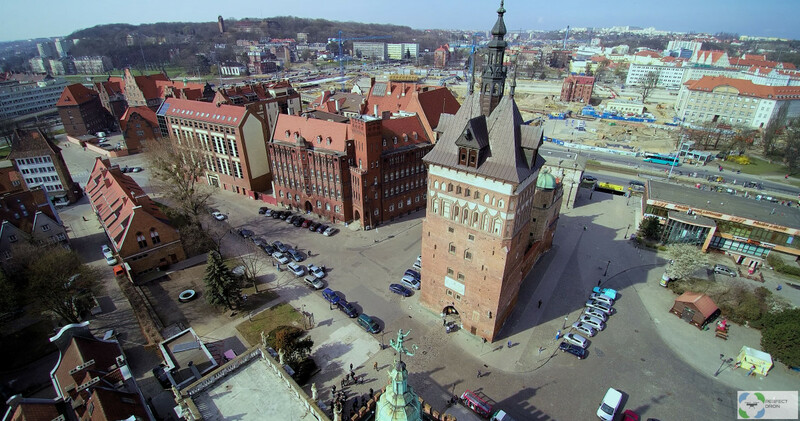 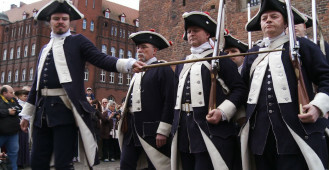 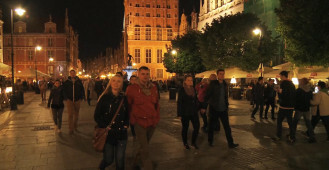 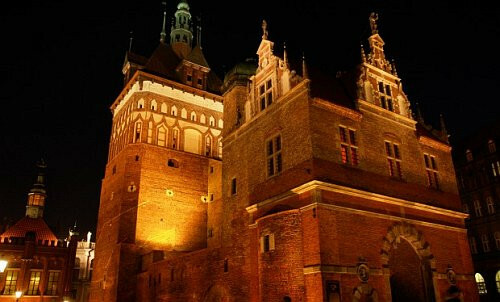 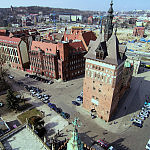 Contain objects connected with its former glory, its many functions as well as from the history of Gdansk law and administration. 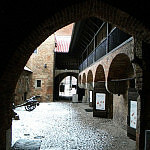 Located behind the Upland Gate, this unique rectangular barbican was constructed in the form of two gothic defense buildings, Prison Tower and Torture Chamber joined by a wall (known as the neck). 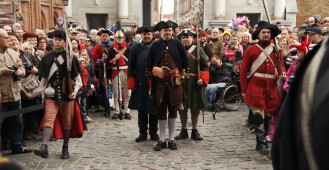 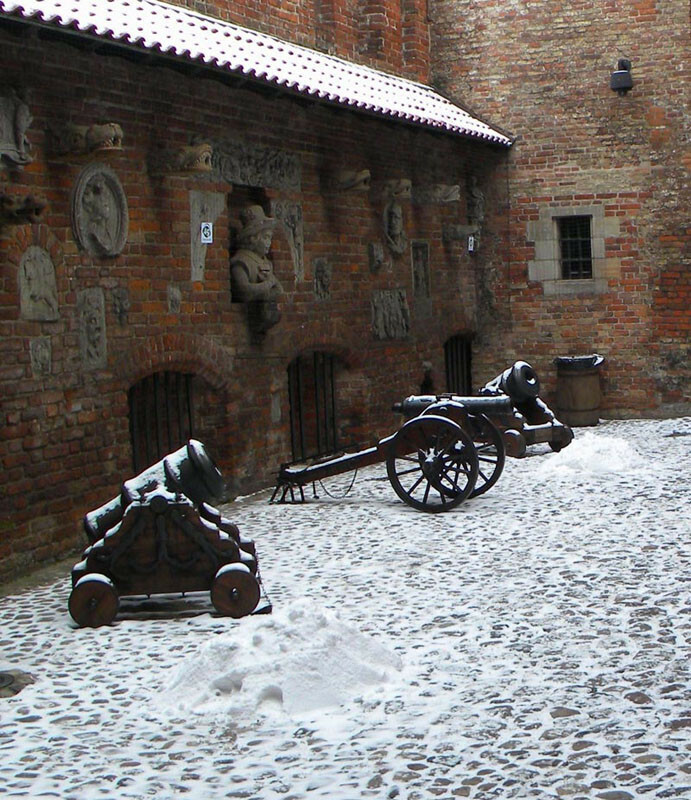 During 1604-1858 here was located one of the largest prisons in Europe. 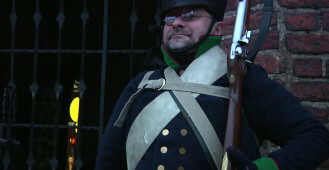 Prison records reveal no known successful escape attempts. 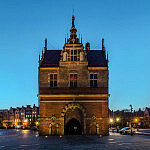 The Torture Chamber, the old headquarters of the hangman, looks like a small renaissance palace with an ornate roof and tower. 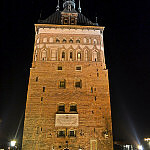 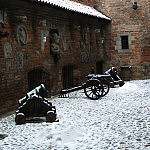 Over the entrance to the building is the interesting old crest of Gdansk from the time of the Crusaders, showing two crosses but without the royal gold grown. 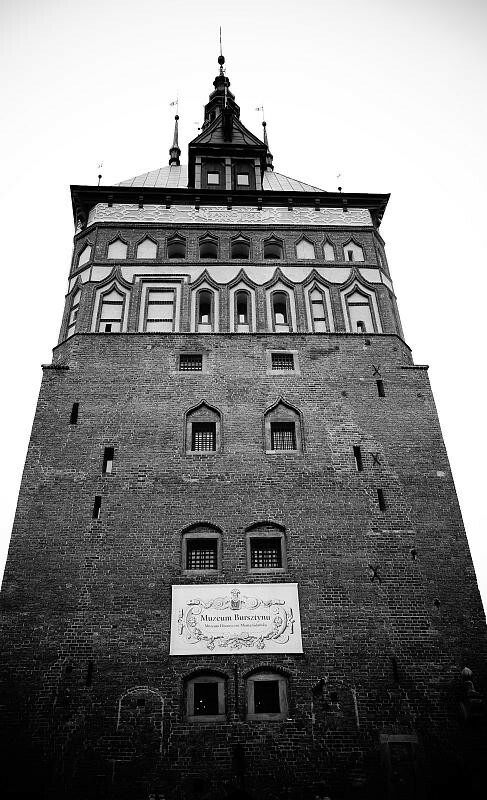 The massive Prison Tower is covered with a helmet, reconstructed according to the original design by Antoni Van Opbergen, who built the katownia around the end of the 16th century. 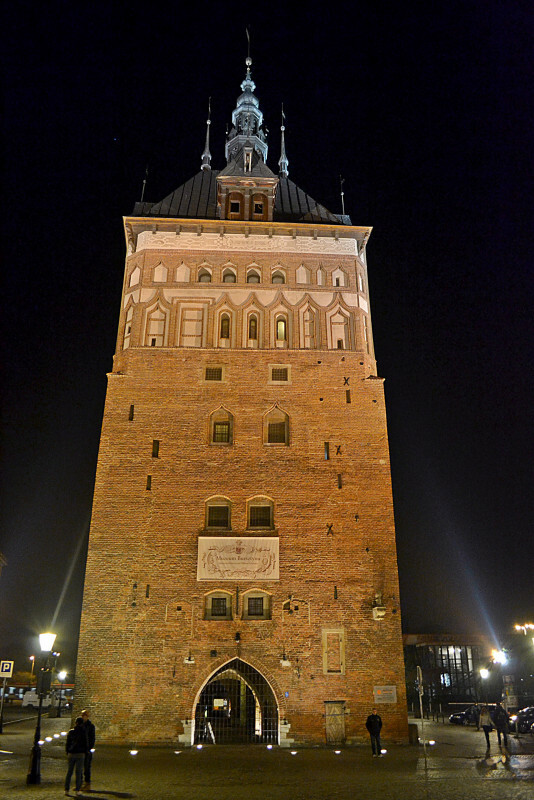 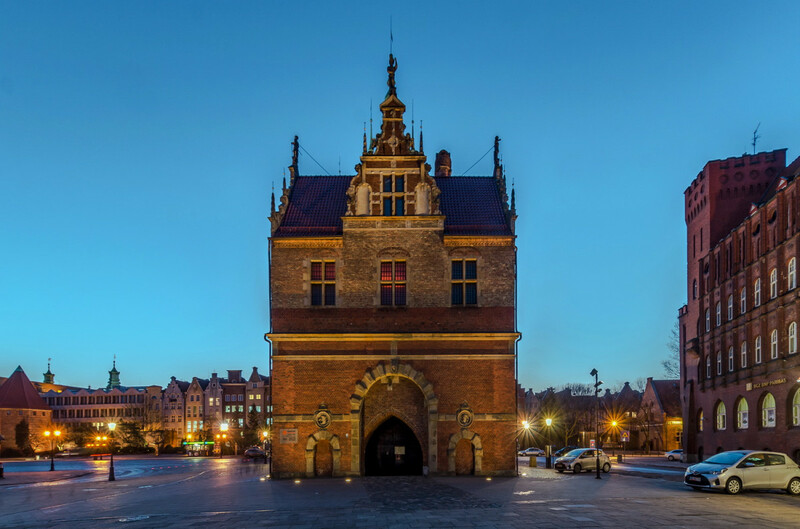 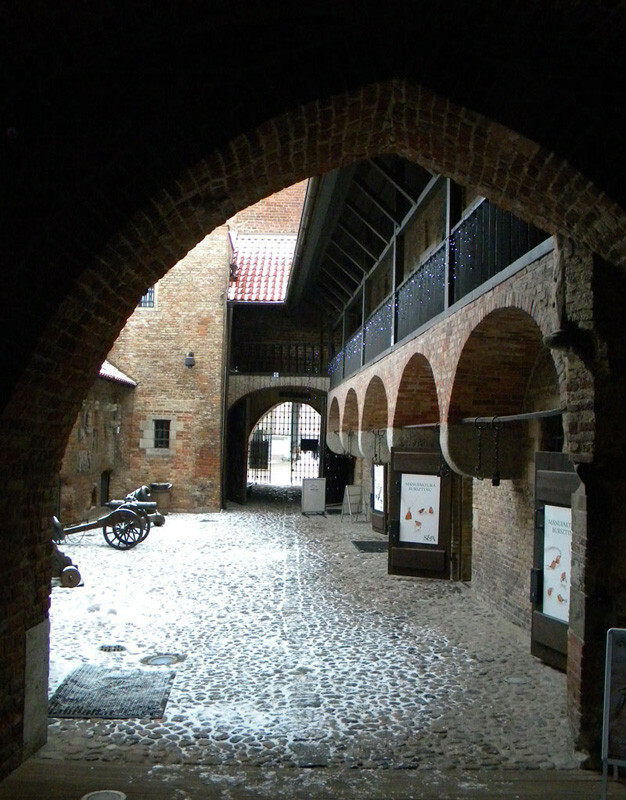 Prison Tower and Torture Chamber contain objects connected with its former glory, its many functions as well as from the history of Gdansk law and administration.